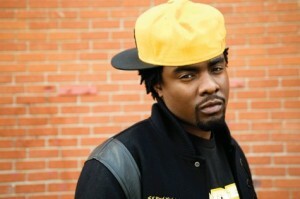 Though rapper Wale has put out more mixtapes (7) than albums (2) it’s his last album Ambition that received critical praise and saw him reunite with Kid Kudi who he hasn’t worked with since 2008. Plus the album is badass and so is his live performance. If you like ramen noodles and pork, then Momofuku is your spot for food. The Berkshire pork is the best I’ve had and it’s the only place I’ll eat pork period, which should tell you just how good Momofuku really is! The Village Pourhouse looks like a neighborhood bar to watch sports but is actually has three more rooms, where you can order food or find a quiet place to smooch! For dessert a little left of the dial, Sundaes and Cones offers eclectic flavors like wasabi and corn and many more flavors that are familiar. Brooklyn based Palomar make really great pop music with sweet harmonies that are equally pleasing to the ear live as much as on record. Also playing are DRGN KING and Springs. For dinner, The Stanton Social has earned a reputation for being a beautifully designed restaurant/lounge while serving up some delicious multi-ethnic cuisine. For drinks, a favorite of mine is The Magician, this bar’s chill atmosphere just may be the cure for a well-earned night of rocking. A great way to end the night? Stop by The Pink Pony. This boho café has been serving French food and coffee since the 80s and has a relaxing vibe. It’s as punk as that neighborhood gets nowadays. 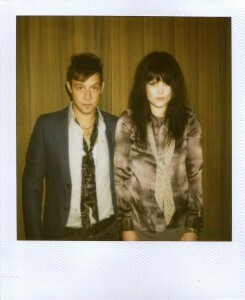 When Alison Mosshart isn’t working with Dead Weather, she fronts an amazing band called The Kills along with Jamie Hince. Their labum last year, Blood Pressure saw them evolve more as artists and receive critical praise, making them one act to see live. Also on board and worth checking out are openers JEFF The Brotherhood and Hunters. Nearby and delicious, Eatery offers a new American menu that’s asian influenced. Try the Red Curry Chicken Breast over roti pancake, with baby carrots and red curry coconut sauce ($16.95). Valhalla’s minimalist space is chill, letting the 24 brands of beer from all over the world on tap be the main attraction at this bar. While its warm out, waste a little time walking through Central Park, relax, and get out of the hustle and bustle of the city. Just watch your step. The working horses tend to leave surprises behind them! Based on Stephen King’s bestselling novel, Carrie: The Musical hasn’t been seen since its legendary 1988 Broadway production. Now, the show’s original authors have joined with director Stafford Arima (Altar Boyz) and MCC Theater for a newly reworked and fully re-imagined vision of this gripping tale. Check out Tortilla Flats. The food is Mexican and delicious, but it’s the insanity within (bingo and hula-hoop nights) that is the real calling for this place. For drinks afterwards, hit the White Horse Tavern, a great bar and the old haunting grounds for Dylan Thomas. If you somehow have time before all of this, stop by Magnolia Bakery for some of the best tasting cupcakes in the city.